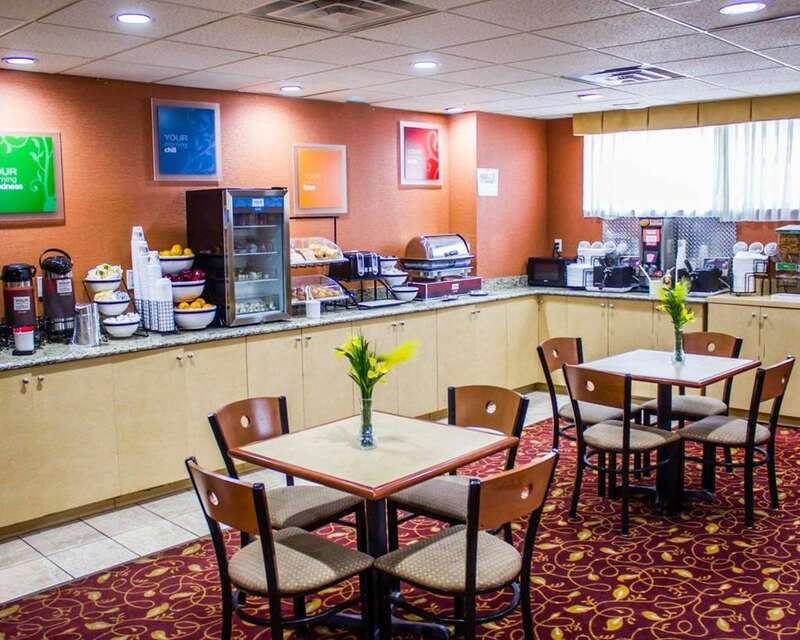 Behind every great day is a great night at the Comfort Inn and Suites JFK Airport hotel in Ozone Park, NY. We are located merely minutes from the airport, and provide courtesy shuttle service. Our smoke-free hotel caters to business travelers with amenities such as a business center, free WiFi, free hot breakfast, an exercise room and guest laundry facilities. Each of our relaxing guestrooms is furnished with a flat-screen TV, hair dryer, coffee maker and desk. Also, earn rewards including free nights and gift cards with our Choice Privileges Rewards program.